Our AST robotics team placed 3rd at the 2018 WRO National Competition, way to go Thomas, Eric and Max. 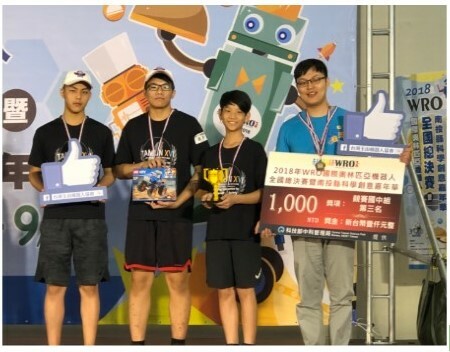 Over the past 4 months, over 150 teams, about 500 students from across Taiwan have been working hard to improve their scores to qualify for the world competition. Next AST robotics will be shifting gears as they prepare for First Lego League and VEX robotics competitions. Most of the students returned from last years FLL team and we hope to be in the top 3 place finishers. This will be our first year attending a VEX competition, so we hope to meet a lot of great people, learn more about Robot C and other programming languages.